While the term “fake news” has only come into vogue as a result of the most recent presidential election cycle, the reality of its presence has been around for many decades. The mainstream media has been lying to the public for a very long time about many different things. Recently, investigative reporter Dr. William Pepper brought this to light, specifically with regards to the assassination of civil rights leader Dr. Martin Luther King, Jr. He claims the truth of which, with evidence, has been withheld from the public as part of a grand conspiracy. During a recent interview with James Corbett of The Corbett Report, Dr. Pepper unearths a plethora of little-known evidence suggesting that the official story surrounding Dr. King’s assassination is absolute bunk. As someone who knew Dr. King personally, Dr. Pepper and his account of what happened to this famous icon of the civil rights movement is truly eye-opening, and something that every truth-seeker will want to consider in light of what the world has been told about this tragic event. One aspect of the conspiracy surrounding Dr. King’s assassination is the way he’s been portrayed as having merely been a civil rights movement leader, when in fact he was so much more than that. 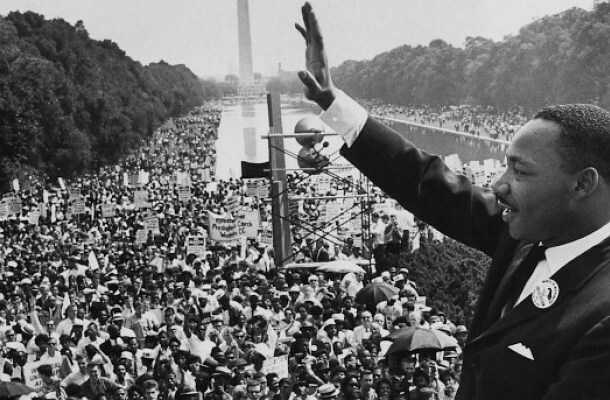 Dr. King was a mobilizer whose efforts in support of human rights all across the globe were a threat to the status quo, both domestically and abroad. He was also vehemently anti-war, opposing the militaristic actions of the American government and its military apparatus in nation-building around the world for purposes of globalism – a fact often omitted from the official story. Dr. King’s assassination is recorded in the history books as having been committed by James Earl Ray, who supposedly committed this crime as an act of racism. But the evidence suggests that this wasn’t actually the case, and that Ray, who was convicted and sentenced to 99 years in prison for this crime, was merely the scapegoat for a “deep state” operation brought about to silence Dr. King for waking up his followers to the existence of a shadow government that pulls the strings in Washington, D.C. The roughly hour-long audio recording of this powerful interview between Corbett and Dr. Pepper is available for listening here. Was Dr. King’s assassination a false flag operation conducted by government spooks? Even Dr. King’s own family believed that the story surrounding his assassination was more conspiracy theory than it was fact, which Dr. Pepper corroborates with many decades’ worth of investigative research. According to Dr. Pepper, it was a police officer, and not Ray, who murdered Dr. King, and that Loyd Jowers, owner of Jim’s Grill, a restaurant near the Lorraine Motel in Memphis, Tennessee, where Dr. King had been staying – and the location where he was shot – was the man tasked with retrieving the gun from the scene. It’s a conspiracy similar to the one surrounding the assassination of former President John F. Kennedy, whose work in battling the corrupt, privately-owned Federal Reserve is believed by those who’ve researched beyond the official account to have cost him his life at the hands of the deep state. In both cases, the murders of these two men appear to have been false flags that were conducted by government operatives and blamed on patsies, which is usually the case when the deep state has something to hide. This is an interview that you won’t want to miss if the official story surrounding Dr. King’s assassination has never really sat well with you. It’s perhaps the most well-reasoned explanation as to the true story surrounding this tragedy that’s ever been publicly released. Go ahead and give it a listen. Find more suppressed truths at Suppressed.news.